The 25th of January is a highlight of the Scottish social calendar, a time when any Scot worthy of their tartan troosers will gather to celebrate the birthday of their most revered national poet, Robert Burns. Burns Night supper celebrations follow a scripted order, passed down through generations of literature loving Scots – the main thrust of it being poetry recitals and the ceremonial stabbing of bags of offal, interspersed with various boozy toasts. The evenings celebrations inevitably end with a giant chaotic ceilidh, which may or may not include bagpiping. As you’d expect, the prefered booze on this occasion is the single malt, which makes this the perfect occasion for us to introduce our latest regular…Whisky Wednesday! Situated on the northerly, wind-lashed edge of the Cairngorms, the Glenlivet Distillery has been cranking out single malts since its inception in 1824. Many whisky aficionados consider its output to have set the standard for Speyside-style whisky, and who are we to argue? Our pals over the pond are certainly partial to a glass of glen – it’s the number one selling brand in the USA. Founder’s Reserve is Glenlivets unaged ‘entry level’ whisky. In classic Speyside style, this pale golden whisky has a creamy and fruity character which errs on the sweet side. Unplug the bottle and take a good old sniff – you’ll be greeted with delicate hints of candied orange. There’s a whiff of toffee apple in there too. On taste, it offers up sweet and fruity mouthfuls, with hints toffee and chocolates. Finish is long, smooth and toffee-tasting. It’s remote. As Brand Ambassador Ian Logan puts it, “If you find us by accident, you’re lost”. Unfortunately, there is no public transport that runs past the distillery, so unless you relish a ten-hour hike over the Cairngorms from Aviemore train station, you’d better clamber into a car. The Glenlivet Distillery is located ten miles from Tomintoul, on the B9008. Punch this postcode into your satnav and hope for the best. If you actually manage to locate the place, you might as well take a tour. Distillery tours come in a variety of guises, from a £10 1 1/2 hr tour, to a £60 extravaganza which includes a tutored tasting and a complimentary whisky gift. There’s also the option to bound gleefully amongst the rugged Speyside scenery. Pick up a map from the visitors centre and head out amongst the heather on one of three signposted routes. Stout shoes and midge repellent are advisable. George Smith – the founding father of Glenlivet – started out as a moonshiner who, in 1824, turned legit after obtaining the first licence ever granted to legally distill whisky. This didn’t go down too well with his illicit booze making compadres, so poor old George had to spend the following years sporting a pair of pistols in his trousers to protect himself and his family from jealous, violent repercussions. We prefer to imbibe our whisky neat to be honest, but if you fancy mixing it up, here’s a bonny recipe we’ve wrestled from Glenlivets whisky-based cocktail collection. In a rocks glass, muddle the bitters and water into the sugar cube with a teaspoon or wooden muddler. Fill with ice cubes and add The Glenlivet Founder’s Reserve. Garnish with an orange peel and maraschino cherry. 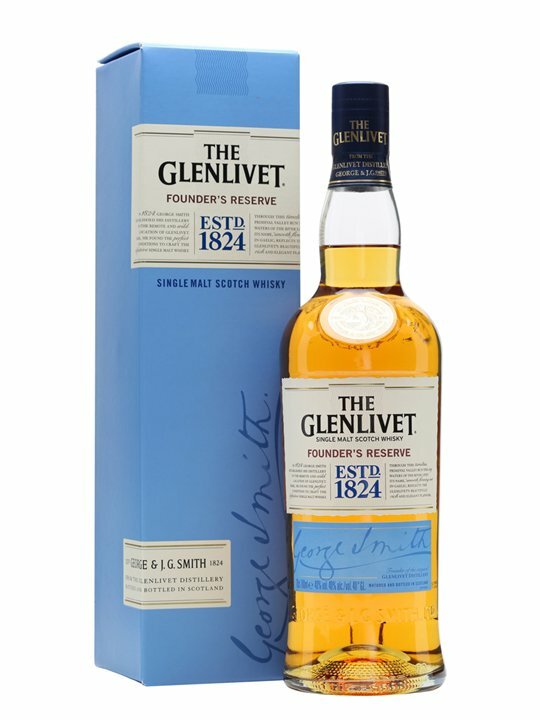 The post The Glenlivet Founder’s Reserve appeared first on Two Thirsty Gardeners. If, like me*, you find the annual dismantling of the decorations a joyous occasion and can barely contain your glee at the sight of tinsel–flecked boxes of Christmas junk disappearing back into the attic for another year, just pause a moment before flinging out that wilting bunch of mistletoe. You probably paid a princely sum for that clump of greenery, right? With your cheeks rosy from Christmas cheer, your wallet probably flopped open all too easily and were only too pleased to fling your hard earned dosh in the direction of that gurning mistletoe merchant who saw you coming. Mistletoe** grows on trees! Yes! Literally! And although it’s naturally spread by the seed-laden dung squitted out from the backsides of our avian chums, it’s possible to impregnate your own tree with very little faff. 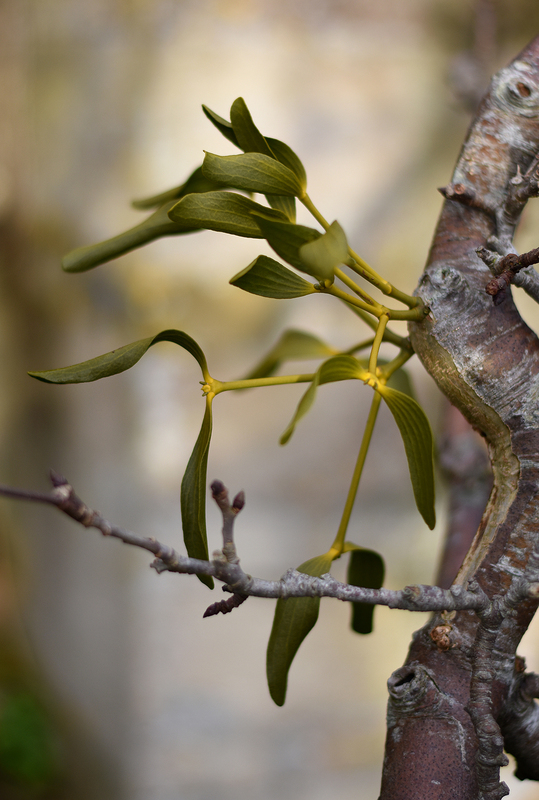 Mistletoe is a parasitic plant that grows on Lime trees, Poplar, and has a particular penchant for old apple trees. We’ve ogled many a magnificent bush on apple scrumping missions*** to some of the older Somerset orchards on our books, where mistletoe can be seen dangling amongst the bows like the unkempt barnet of Brian May. Simply pluck the berries off the foliage of your mistletoe sprig and pummel them into a paste with your fists. Take said paste and smear it over the joints of your chosen tree as if you were basting a particularly knobbly chicken****. Try and smear your seed as high as you can, so your mistletoe commands maximum sunlight when it gets going. Some folks suggest cutting into the bark of the tree to create a flap under which to stuff your berry mush, but my mistletoe managed to germinated just by basting a particularly gnarly armpit of my old apple tree. But don’t pucker up just yet – mistletoe germination can be rather hit or miss, especially if you are using the underdeveloped berries from a plant that was entwined within a Christmas wreath. It’s still worth a punt though, and be aware that it can take up to five years for those distinctive white berries to develop. The plant pictured below is two years old. If the amount of mistletoe foliage is proportionate to the amount of passion conducted underneath, then we are currently looking at suggestive winks and warm handshakes, rather than lusty clinches. But hey, it’s a start..
** Mistletoe fact: Its name comes from the Anglo Saxon words Mistel (dung) and tan (stick). Or Chelsea FC circa: 2007, if your name is Jorge Valdano. *** And when we say ‘scrumping’ we of course mean permitted visits to orchards to merrily gather apples in wicker baskets. Not stealthy twilight orchard raids involving sacks, balaclavas and the unmistakable screech from the wheels of a speeding Ford Focus. The post How to grow mistletoe appeared first on Two Thirsty Gardeners.